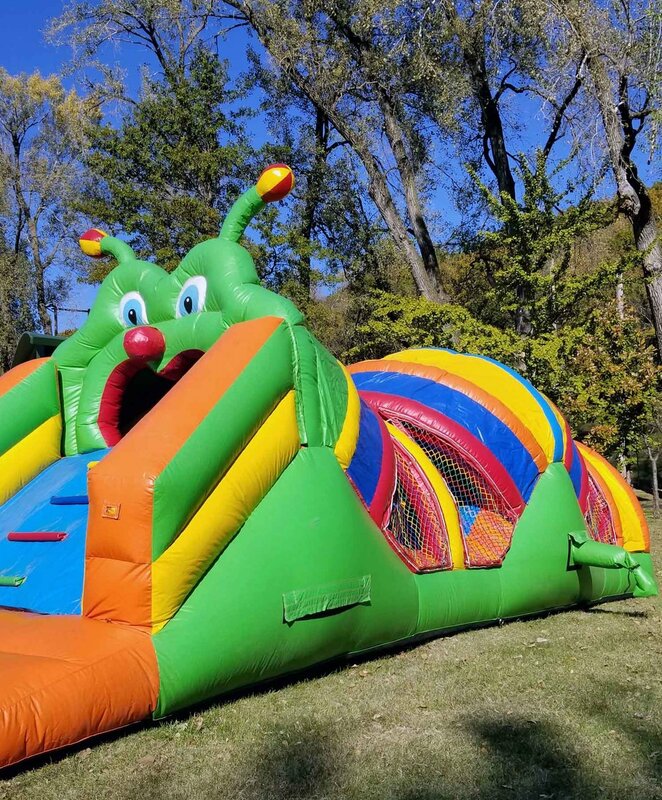 Obstacle Courses — Carnival Times, Inc.
Carnvial Times offer up to 6 hour rentals, and can provide overnight services too. 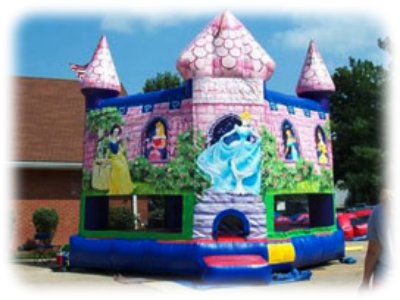 Inflatables such as obstacle courses, giant slides, and even jousting arena's are available for any type of event. Are you ready for your mission! This has a fantastic "swinging bridge" feature at the top of the climbing wall. Comes with an attendant. 40x26x18 area required with a dedicated 3 ~ 20 amp circuit located within 80' of the electrical source. Call for pricing..Up to 6 hrs. 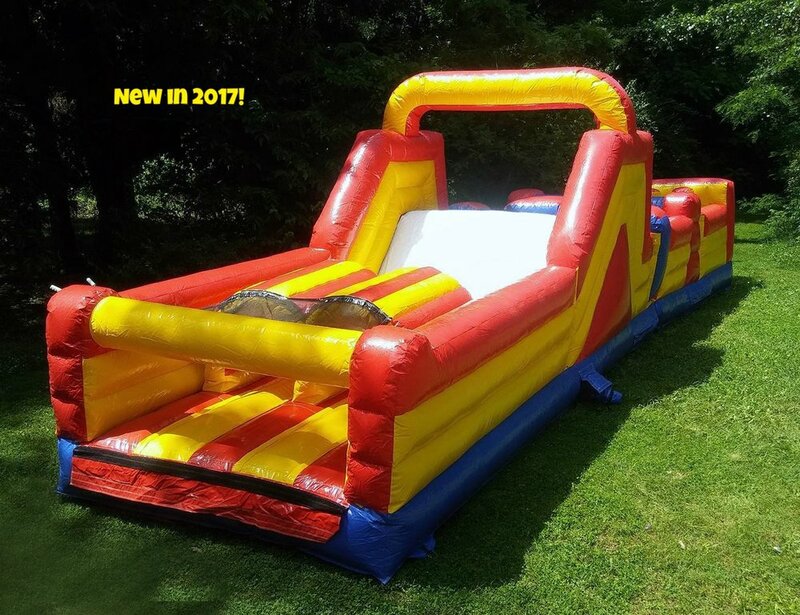 40x27x16 ~ Course offers rock climbing wall and 16' slide. It's Awesome!.. 42x27x17 area required with a dedicated 3~ 20 amp circuit located within 80' of the electrical source. Everyone can enjoy this one!! 65' long and full of challenging fun! Fun for little ones, and exciting for older folks too! 65x12x17 area required with a dedicated 3~ 20 amp circuit located within 80' of the electrical source. Call for pricing.......Up to 6 hrs. This colorful unit is open and fun. Great for family get togethers! 44x14x16 area required with a dedicated 1~20 amp circuit located within 80' of the electrical source. 54x10x14 area required with a dedicated 2 ~ 20 amp circuit located within 80' of the electrical source. Perfect for small community events or even backyard parties. Climbs, slides, and obstacles! 28x9x10 area required with a dedicated 20 amp circuit. Must be within 80 ft. of the electrical source. Built for all ages, and affordable for private..
40x12x12area required with a dedicated 2~ 20 amp circuit located within 80' of the electrical source. Playlites construction, built for hours..of fun! Detailed circus graphics, with..a Giant Gorilla and Giraffe! 55x7x12area required with a dedicated 2~ 20 amp circuit located within 80' of the electrical source.